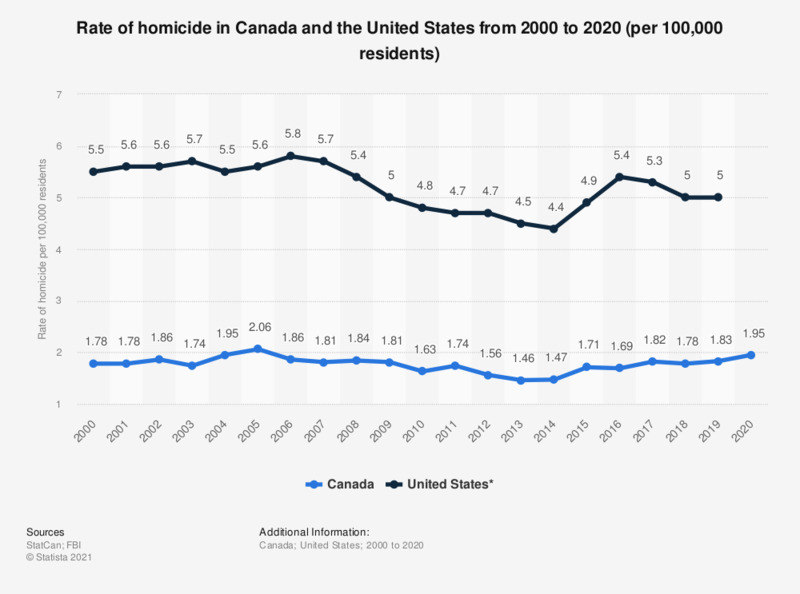 This statistic shows the rate of homicides in Canada and the United States from 2000 to 2017. There were roughly 5.4 homicides in the U.S. and 1.8 homicides in Canada per 100,000 residents in 2017. Homicide for the US and Canada is defined here as the willful (non-negligent) killing of one human being by another. The source data for the U.S. homicide rate can be found here.